Precious Ngwu comes with yet another app, a refined version of the Mint App, which is now called the Mints App 2.0 which lets the user enjoy the communicative and attractive mobile responsive polls in order to bring in more traffic. 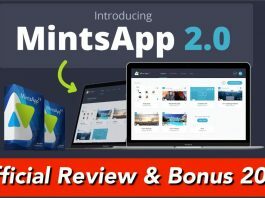 The reviews have been very positive and have shown that with the help of Mints App 2.0, the site could see a sudden upsurge in traffic. With the help of polls, you can get firsthand information about what the user demands and therefore engage them .It serves dual aspects as it will not only generate leads and increase traffic but also will lead to more shares as the viewers themselves with share post which would make your content go viral. 1 Better designs leading to interactive Polls-The more interactive model focuses on Binary Campaign which streamlines the already prevalent Mints App 1.0 .Other than Binary Campaign, Classic-Mints Campaigns projects polls in a more modern outlook thus attracting more traffic. 3 Absorb & Accumulate Opinions in Real Time-The best part about Mints app 2.0 is that it takes into consideration all modes of traffic such as blogs, e-commerce transactions, articles and even social media platforms. Next articleExamples of how Social media has benefited ecommerce?